This 4 pattern set is a great value! 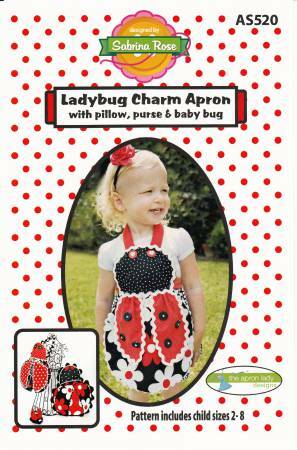 Your little one will love to help in the kitchen dressed up in her Ladybug Apron. The cute Purse, Pillow, and Baby Bug are perfect for playtime fun. These are each 2 hour projects!